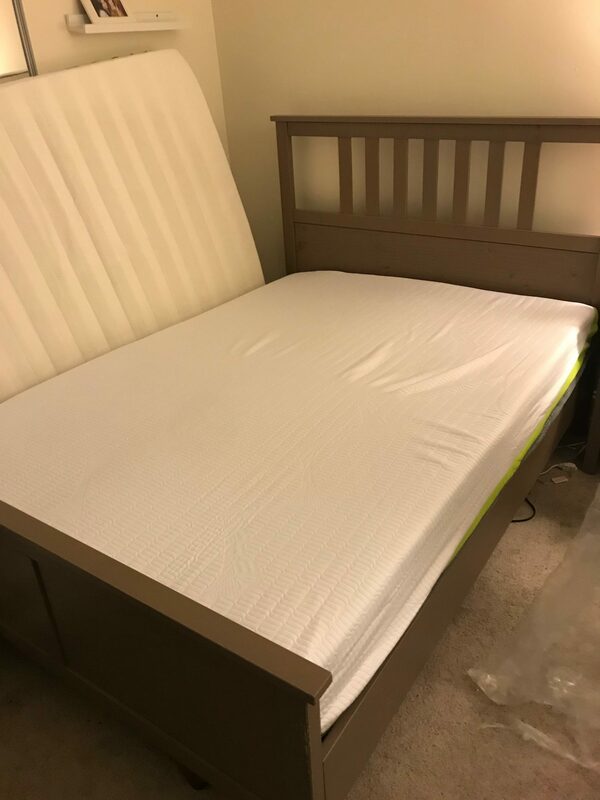 This REM-Fit Sleep 200 Mattress Review was recently completed by the MattressJunkie.com team. REM-Fit was founded in 2014. 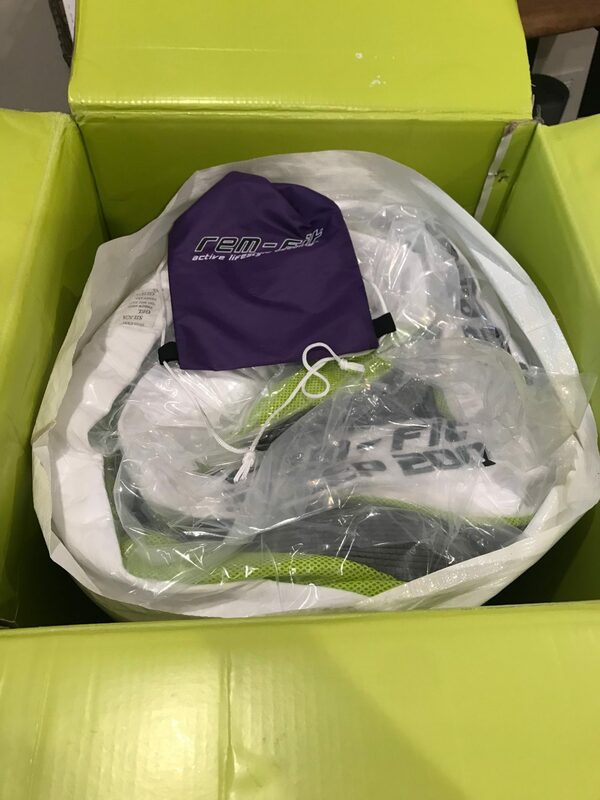 REM-Fit is an active lifestyle bedding brand that helps you achieve a healthy and active lifestyle by getting the best sleep possible for maximum recovery and comfort. The REM-FIT line of products consist of 3 categories: Rest, Energize, and Motivate collections. 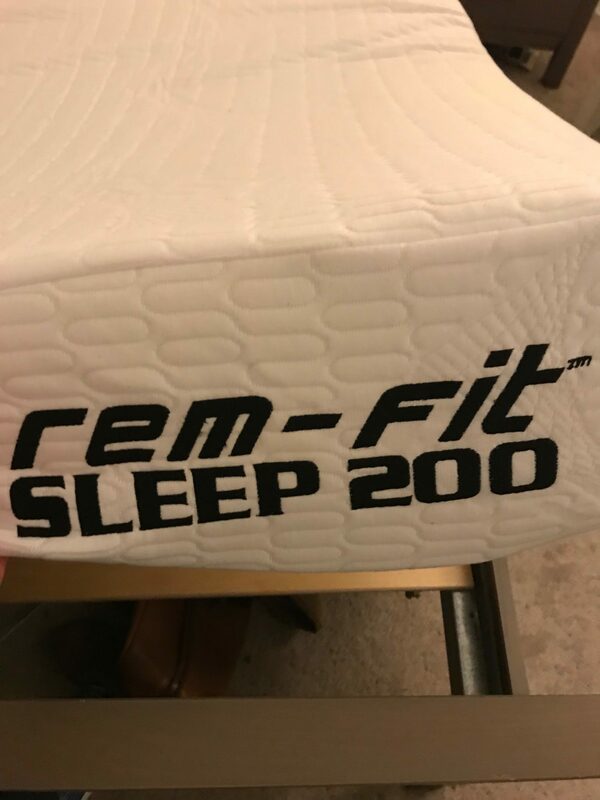 The REM-Fit Sleep 300, 400 and 500 Mattress were also reviewed by us recently so we were eager to check out the REM-Fit Sleep 200 Mattress. 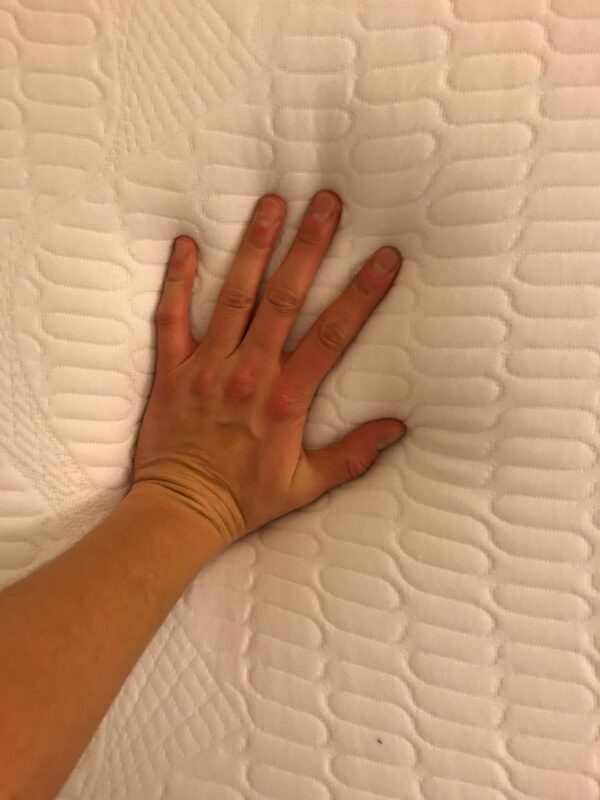 Check out how the REM-Fit Sleep 200 Mattress stacked up against our review process. Tell me more about the REM-Fit Sleep 200 Mattress cover. The REM-Fit Sleep 200 Mattress cover is made of ReAx Fiber woven into Tencel. The ReAx Fiber helps with temperature control by dissipating hot spots and wicking away moisture from the sleeper’s body. The ReAx Fiber is woven using a Hi-Flow Knit pattern that ensures optimum airflow while conforming nicely to the foam layers below. What’s Under the REM-Fit Sleep 200 Mattress cover? The REM-Fit Sleep 200 Mattress is made from cooling gel infused adaptive foam. The top 2.5 inches give the sleeper a flexible comfort layer. The cooling gel infusion into the memory foam is critical for temperature regulation. The bottom 5.5 inches of support foam gives the mattress long term support and keeps the sleeper from sinking too far into the mattress. What Sleep Style Works Best with the REM-Fit Sleep 200 Mattress? The REM-Fit Sleep 200 Mattress is a medium in terms of firmness. Medium is recommended for back sleepers who want a more comfortable sleep surface or side sleepers who need the softest for pressure relief on their hips and shoulder. What type of base should I place my REM-Fit Sleep 200 Mattress on? Box spring, platform base, bed frame, adjustable bed or any flat surface would work fine with the REM-Fit Sleep 200 Mattress. Like new cars, mattresses often have a smell when they are unrolled. This smell is called off-gassing. The smell is usually very faint and quickly dissipates once the mattress breathes. The REM-Fit Sleep 200 Mattress didn’t have a noticeable smell. 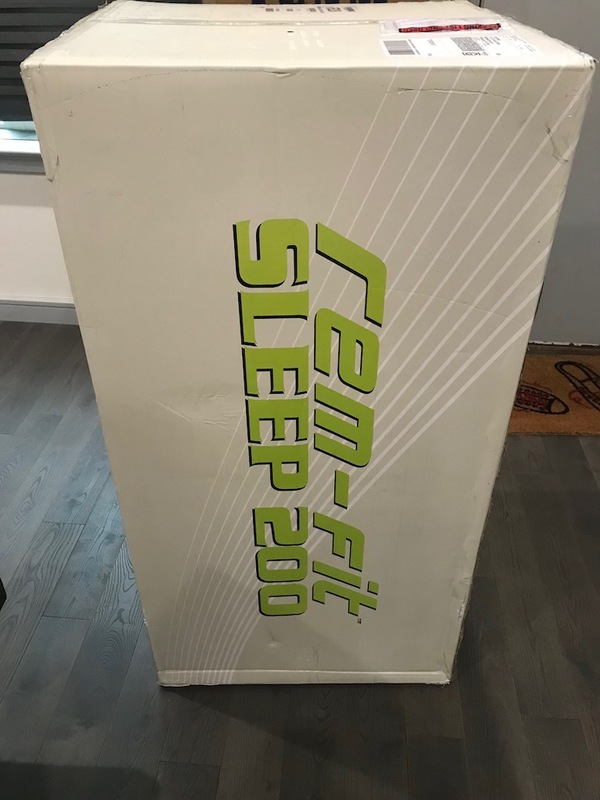 What Type of Warranty does REM-fit offer on the Sleep 200 Mattress? REM-Fit has a 10-year warranty on their Sleep 200 Mattress. How much does the REM-Fit Sleep 200 Mattress cost? Do we recommend the REM-Fit Sleep 200 Mattress? REM-Fit Sleep 200 Mattress is an excellent mattress. Comfort and cooling are top notch. The mattress has a trendy color scheme and a suite of products to add on that will help you with fitness and health goals. The sleep tech combination with excellent quality and comfort make the entire REM-Fit line of mattresses a great bargain for those who like memory foam and want to sleep cool. Order the REM-Fit Sleep 200 Mattress here…..